A Metro Expo Line train carrying a host of elected officials and dignitaries cruised Friday through a ceremonial banner in Santa Monica, and two hours later, commuter train service to the beach city resumed for the first time in more than 60 years. The $1.5 billion, 6.6-mile Metro Expo Line Phase 2 extension opened to the public at noon, stretching the line from its previous terminus near Venice and Robertson boulevards in Culver City to a station at Colorado Boulevard and Fourth Street in downtown Santa Monica. The extension includes seven new stations, with stops in Palms, West Los Angeles and the area just north of Santa Monica College. With the extension, the Expo Line stretches from Santa Monica to downtown Los Angeles, ending at the Seventh Street/Metro Center Station at Seventh and Flower Streets. Riders at that station can connect with the Blue, Red and Purple lines to Long Beach, Union Station, North Hollywood or the mid- Wilshire area. Metro officials said the ride from Santa Monica to downtown Los Angeles is expected to take 46-48 minutes. 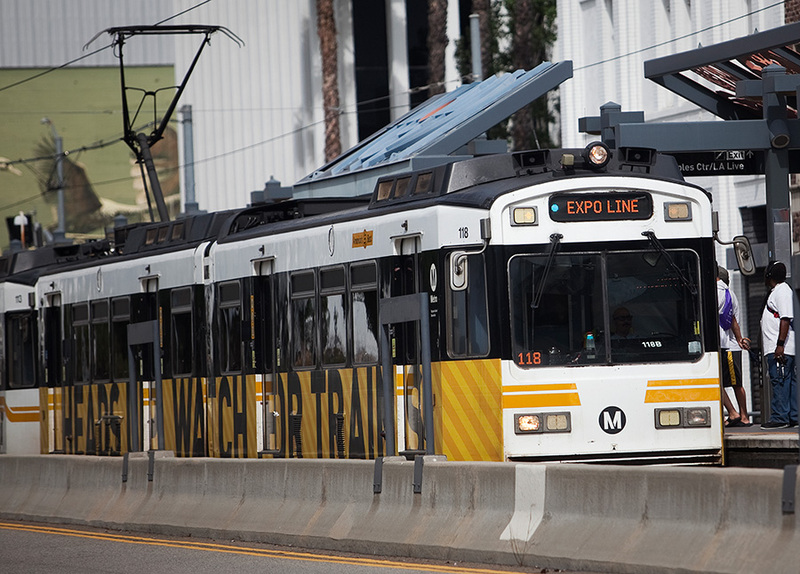 Metro will offer free rides on the entire Expo Line beginning through the end of service Saturday night/Sunday morning to introduce passengers to the new line. From 10 a.m. to 4 p.m. Saturday, parties with music and food will be held at the Culver City Station and five of the new stations — Downtown Santa Monica, 17th Street/SMC, 26th Street/SMC, Expo/Bundy and Palms. 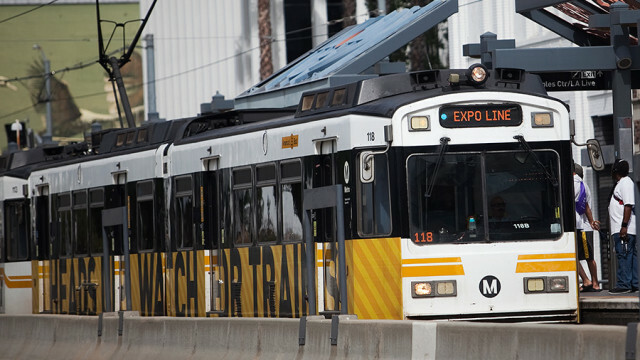 Los Angeles Mayor Eric Garcetti has said he expects the line to be one of the Metro system’s most popular, far exceeding the anticipated passenger count of 30,000 riders a day. “We think it could be probably 40 to 45 thousand, and my prediction is it’ll go well over 50,000,” Garcetti said earlier this month. “The nice thing about a train is we can add capacity. Metro spokesman Dave Sotero told City News Service that Expo Line trains had been “running full all day” and already had carried as many as 20,000 passengers as of about 4:40 p.m. The extension will also help introduce a new feature for Metro — paid parking. 17th Street/Santa Monica College station: 67 spaces, of which 13 are reserved for monthly permits. Expo/Bundy station: 217 spaces, with 131 reserved for monthly permits. And Expo/Sepulveda station: 260 spaces, with 77 reserved for permits. According to Metro, monthly parking passes for the SMC station sold out within an hour. Passes are still available for the other two stations. People without permits will pay the $2 daily parking rate, with parking attendants on hand to collect money and ensure motorists have Transit Access Pass cards to use the rail line. When an attendant is not on duty, payments must be made by phone or with a smartphone app that will be available when the extension opens May 20, according to Metro. Metro officials said payment kiosks will be installed at the lots later this year, and technology is also being installed that will allow riders to check parking availability online.